All information and photos were provided by Garry Henkel owner and operator of Aboriginal Journeys . The region of Campbell River is renowned for having some of the most unique and treacherous tides in the world. The many rapids here create natural phenomenons, one of which is found in the Arran Rapids. 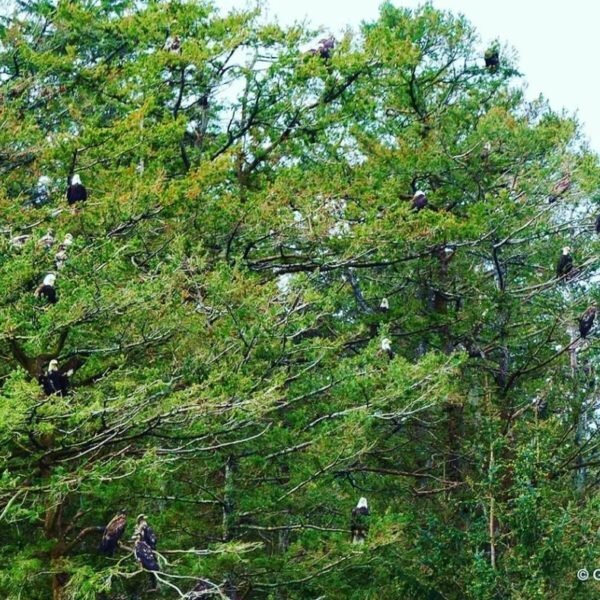 On any given day from May to July, up to 300 bald eagles can be found congregating to feed when the ocean currents are at or near their peak flows. 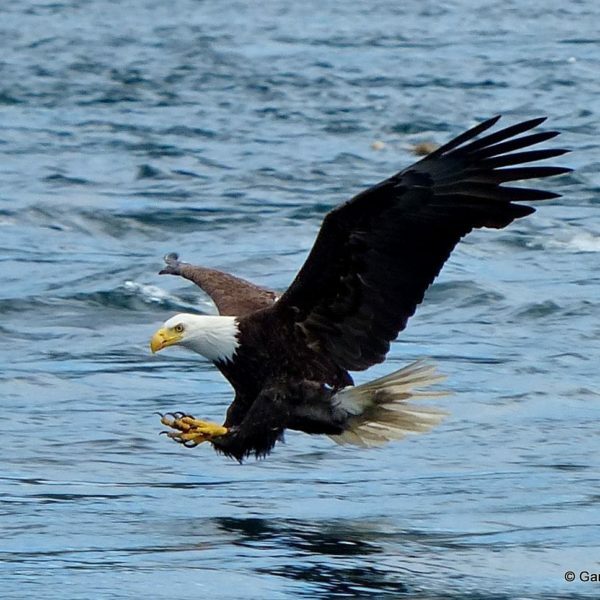 The eagles come to this area to hunt for the North Pacific hake, a fish that can grow up to one metre long and has an average lifespan of 20 years. Whirlpools are created in the Arran Rapids when two strong opposing currents meet and create an upwelling of the water, or a vortex effect. 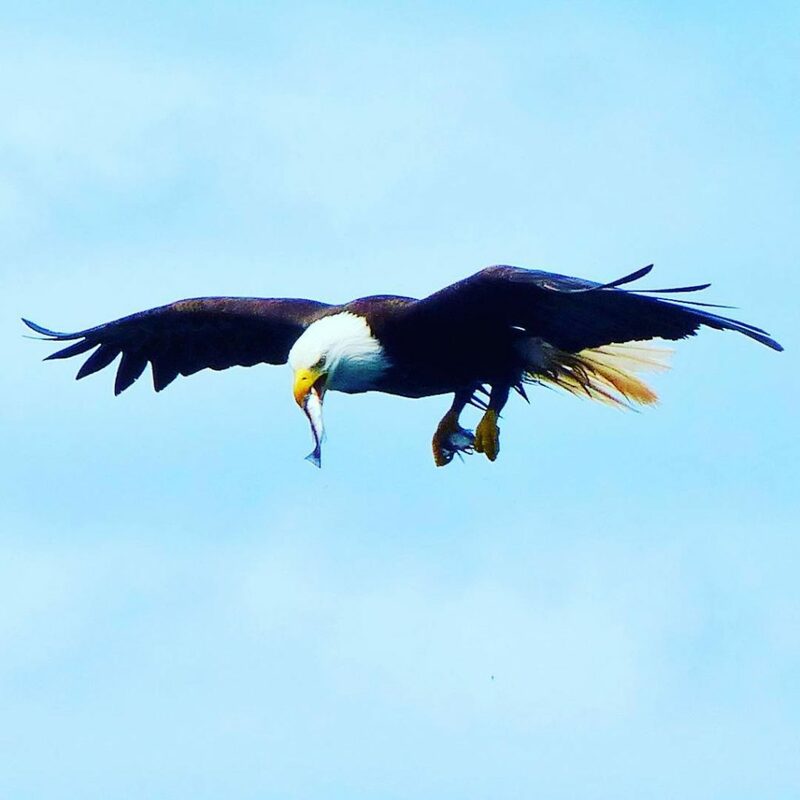 These whirlpools are deadly for the hake, and push the fish to the surface, trapping them and making them easy pickings for the eagles to feast upon. 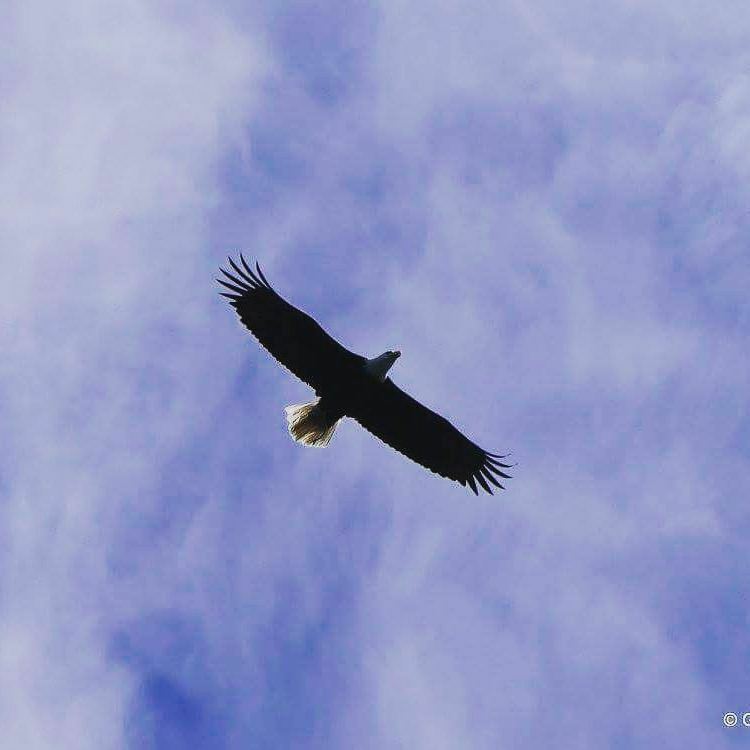 To #DiscoverCampbellRiver and see this phenomenon for yourself, book a seat aboard a whale watching tour and witness “Eagle Heaven” this season. Looking for inspiration on how to plan your time in Campbell River? Check out our Itineraries for ideas!